making connections with others | Finding delight. Last week, I shared my tips on how to take the loneliness out of working from home. However, there was one BIG tip missing — volunteering. When brainstorming my favorite ways to collaborate and spend time with others, helping people required way more than a bullet point. I thought it deserved it’s very own post! Especially because many folks would love to spend their time helping others — not just freelancers! Are you the type of person who feels worthwhile when you spend time helping others? Would you like to dedicate those free hours you have each week to something constructive that will make the world a better place? 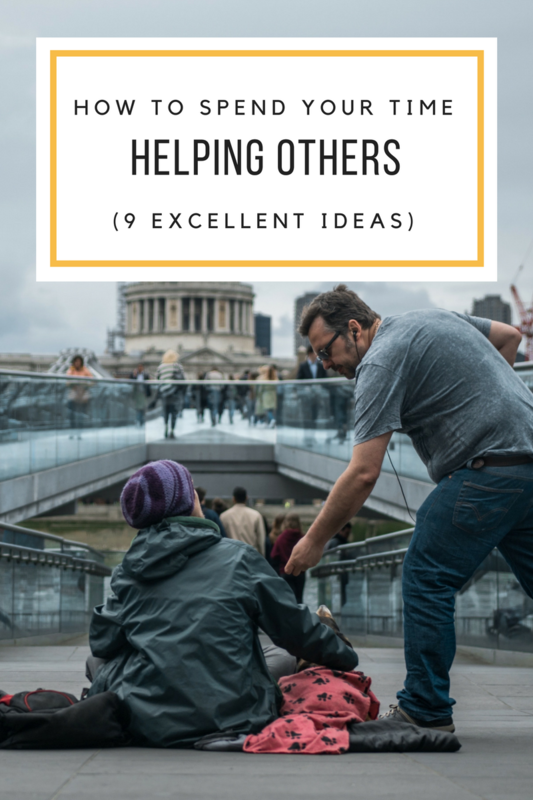 While there is no limit to the ways you can give back to society, the ideas in this article offer a look at some worthwhile opportunities you may have over-looked, and it’s pretty easy to get involved in most instances. Once you find something that seems appealing, it’s just a case of searching online for relevant organizations. There is a homeless problem in most Western countries, and there’s plenty of opportunities to get off your sofa and do something about it. There are many organizations and charities out there seeking volunteers for a range of work. Everything from washing sheets used on beds in emergency shelters to cooking spaghetti dinners at a local soup kitchen; loading up a van with coats and blankets to pass out on particularly cold nights to working one-on-one with shelter residents in the process of finding housing. Offer your services as a listener. The number of suicides that happen every year in the US is staggering. Volunteering your services as a listener through a crisis and suicide prevention hotline is a way to help people during some of their darkest hours. However, there are other opportunities to listen. Becoming a listener could mean that you make yourself available for anyone who needs a friendly ear. Spend time abroad teaching English. You might think that teaching English abroad is less of a volunteer opportunity because you tend to get paid for your time. However, I think it is worth mentioning as an outlet for those who want to spend their time helping others. 🙂 Learning English can improve the quality of life and opportunity possibilities for students all over the world. Volunteer for overseas construction projects. There are many overseas construction projects where you could use your strength and skills to assist local communities in building schools, hospitals, homes, and other community buildings. You just need to search online for companies and groups that focus their efforts on those tasks. In most instances, there is always a need for labor, and you don’t require any previous qualifications or experience. You just need a willingness to help out and work hard. The best thing about volunteering for building projects is that you will spend a few weeks immersing yourself in the culture of a place in a way you would never experience through normal tourism. Take older adults to their medical appointments. There are lots of people in the twilight of their lives who don’t get the support they require. There are lots of ways in which you could assist those individuals, but taking them to medical appointments is sure to make an impact. With that in mind, talk to your local doctor’s office, church, etc. and let staff know you’re available to help out with transportation. You might forge a powerful friendship over weekly rides to the pharmacy, who knows! Organize activities for children with disabilities. According to the Child Development Institute, children with disabilities tend to struggle when it comes to making friends and dealing with social situations. As a result, there are lots of opportunities with organizations doing their part to make children feel more comfortable, less alone, and free of judgement. Consider looking into a youth club in your area that meets on a regular basis. Or if you’re looking for less of a commitment, many of these organizations have one-time volunteer needs for special events like dances, sporting events, and retreats. Help to raise funds for people affected by natural disasters. Natural disasters happen all over the world every single year. However, we can’t always drop everything and get to the areas affected. (Oftentimes it can be unsafe to do so.) But that does’t mean we can’t contribute financially. Hurricane Irma taught me the rebuilding process after natural disasters is slow and tedious. Organizing fundraisers to gather as much money as possible to send out for recovery (Not old clothes and home goods!) can have a direct impact on a community’s future. 100 ways to raise funds for international relief efforts! Create welcome kits for refugee families. Imagine arriving in a new country with a few suitcases and a whole family looking for a new start. Organizations that assist with refugee resettlement are always looking for donations of household items for the families they help. Reach out to one in your area. Many accept “baskets” that you can create with a number of items to help a refugee family get settled in their new home; such as a Kitchen Basket (with cutlery, coffee pot, etc), Cleaning Basket (with cleaning supplies), Hygiene Basket (with personal care items), or Linens Basket (with towels and blankets). If you’re tasked with welcoming a particular family, and you’re told they have kiddos, consider making them welcome baskets! Try gardening for people who can’t do it anymore. Lastly (and this is for people who love spending time outdoors), you might consider offering your gardening services to people who have mobility issues in your hometown. It’s an excellent way to help out with tons of benefits — think: sunshine, community beautification, and a sense of accomplishment. You don’t need a ton of experience, just a willingness to get a little dirty (and maybe mow a lawn or two). However, nothing is stopping you from getting creative by planting flowers and going above and beyond the call of duty. The finished product is sure to put a smile on the faces of the folks who will get to look at your beautiful work every day! Do you spend time helping others? How did you find your favorite volunteer opportunity?